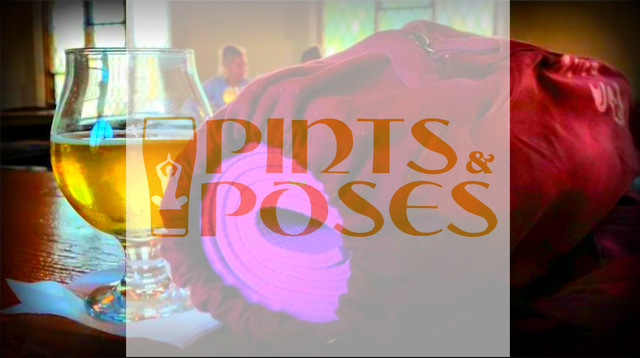 Join us for another edition of Pints & Poses! We are going to start with a relaxing yoga class (this part takes place at Mike Greer Photo Studio, 4 doors down from the brewery. Second level above the Basement Burger). Then, after finishing up with our poses, we will walk over to FBC to enjoy 10% off pints! Do you like good beer? Do you like yoga? Maybe both or just one? Totally cool. This class is perfect for newbies. Grab a friend or a partner and let’s have some fun. We had a great time last class, and space is limited, so be sure to get your ticket today! *Bring your yoga mat or a thicker blanket/towel.